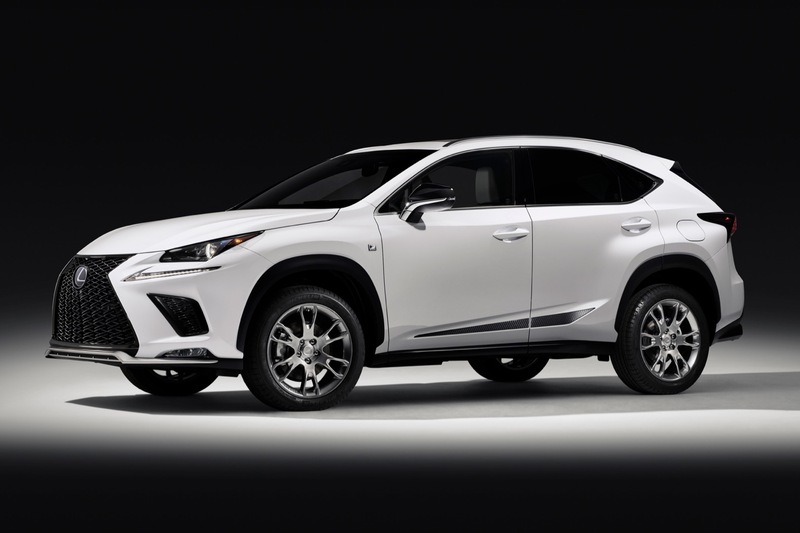 Lexus is introducing a new limited edition version of the 2019 Lexus NX crossover – the 2019 Lexus NX 300 F Sport Black Line Edition, which is debuting next week at the Chicago Auto Show. The new Black Line Edition amplifies the styling and features of the NX 300 F Sport. On the outside there are unique 19-inch wheels and a new lower sport body side graphic. The exhaust has also been enlarged to give it a more aggressive look. Buyers will only be able to choose from three colors: Ultra White, Obsidian and Atomic Silver. The interior gets a new Mark Levinson 14-speaker, 835-watt audio system and unique F Sport Arctic White and Black seats. The 10.3-inch navigation system features predictive traffic information and the Lexus Enform App Suite 2.0. Lexus will only build 1,000 NX 300 F Sport Black Line Edition models and the pricing starts at $48,575 for the front-wheel drive model and $49,975 if you prefer all-wheel drive.